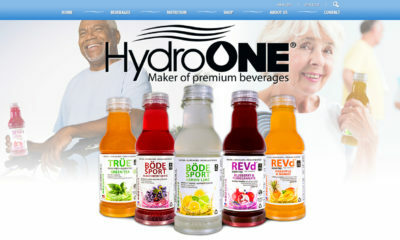 Hydro One Beverage announced the launch of a new Website today. The website marks an exciting chapter in the company’s history. The site is responsive for mobile devices and includes a full catalog of beverages for sale in-store and online. Site users can even use a search feature to find a retail store close to home where Hydro One Beverages are sold. The website also contains multiple feeds for the Hydro One Beverage Facebook and Twitter pages. Hydro One Beverages are geared to meet unique needs like: supporting a healthy heart, healthy joints, and even helping to support the management of diabetes and obesity. Hydro One’s vision is to create all-natural, low-calorie beverages that provide nutrients to support joints, heart, memory and women’s health. The company was founded in 2006 with the mission of becoming the world leader in scientific advancements that deliver nutritional supplements through water-based solutions.